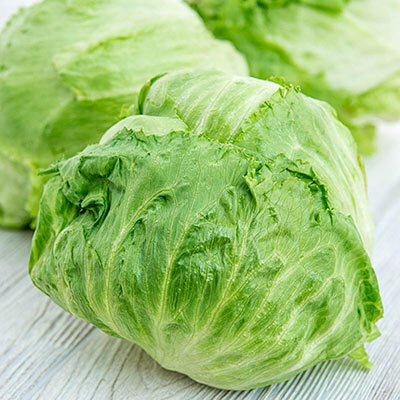 Ithaca Lettuce | Henry Field's Seed & Nursery Co. This crisp head lettuce extends the season, as it is slow to form seed stalks. Produces firm, well-wrapped heads. Resists brown rib and tip burn. 65 DAYS. Height Firm, well-wrapped heads. 5 1/2 inches across. Height: Firm, well-wrapped heads. 5 1/2 inches across. Spacing: 5 - 6 inches between plants; 12 - 18 inches between rows. Depth: Sow 1/8 inch deep into the soil. Size: Heads are 5 1/2 inches across.